@LapMan: Great! I was not aware that there are Tiger kits with such a low part count. @Matthew: I tried myself and it is indeed nearly impossible to find any information on that kit. I really thought this was a popular kit so I was expecting lots of information. Since this campaign is more about relaxation, we'll close an eye if there are few more parts as long as the kit works for you. This means we have reached the minimum of 10 so I'll submit the campaign. Thank you all! I too would be interested thinking of the Tamiya Walker Bulldog kit that has been right at the top of my stack for yonks. I have not counted the parts yet . . .
Alternate idea - Your other builds are 500 & 750, why not make this one 250? It retains your numerical symmetry and would include some additional kits. Just thinkin . . .
Yeah. I just need to figure out which one. It looks like the 7.5 sneaks under also since they give you some "choose 1 of 3" options for the flash suppressor and if I don't use ammo. Great idea, I'd be in for this one! @Paul: I see the logic in-there but the initial idea of this campaign was to build something that is REALLY easy and fast. I was initially thinking of a 100- limit but this would have been more than limiting hence the increased threshold of 150. Woohoo. I'm currently enlisted 9 campaigns that are about to start! I'm about to be really busy! 11 here, it should be a very enjoyable winter! I enlisted. I just need to choose a kit. I'm trying to get the Bronco US 37mm AT, but other small artillery pieces are still options. 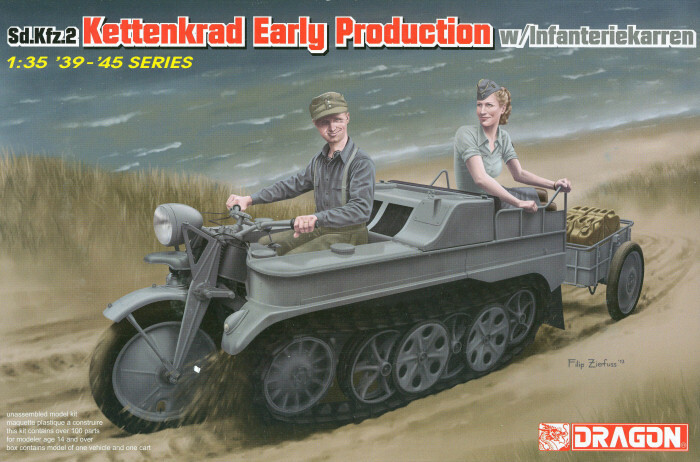 I thought of doing a Kettenkrad but the couple of kits I have count to about 300 or so parts. I believe the high parts count is attributable to its individual links and a small artillery in tow. Will dig around for more options. Are sci-fi subjects eligible? One of the 1/72 Bandai Star Wars kits would be a nice change of scenery for me. Yes, Bryan! These are also allowed. The campaign runs under the General Modelling category and I also changed the rules to make it more clear that not only armored vehicles are allowed. That's great! I'll be signing up then. That might work for the truck & trailer campaign . . . I considered it Paul, but later thought it may be stretching it a bit far since it's not a truck. 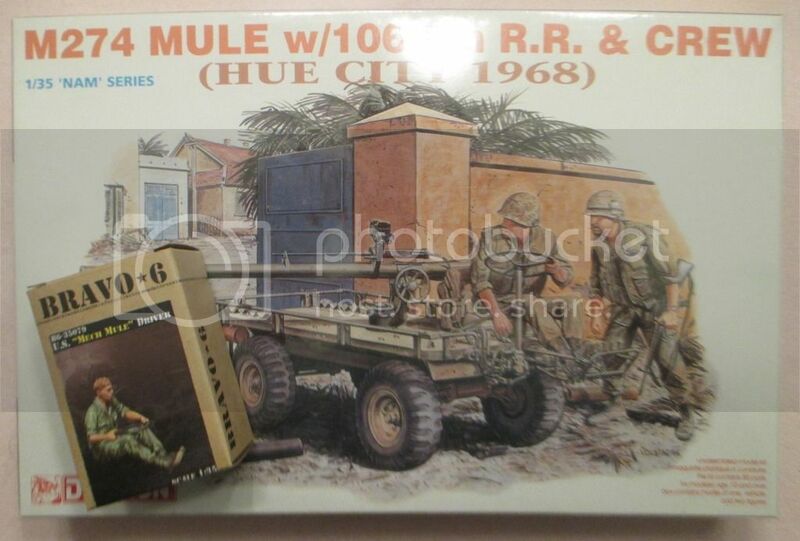 Anyways, I got a good deal for Trumpeter 1/72 Famo + trailer, picked it up the other day, thus all set to go! The box states 80 parts but by my count only 37 will be used for the mule, the rest are for the recoilless rifle and figures. That leaves me plenty of leeway to add stowage and the Eduard PE set.